When I imagined what I would be feeling as I finally entered the line to see Avengers: Infinity War, the emotions that immediately sprung to mind were excitement, happiness and eager anticipation. To see nearly all of Marvel Studios’ established superheroes unite against a universe-spanning threat was nothing short of an event. Not once did I ever think to include pure, unadulterated dread in that category of emotions. Yet, that’s exactly what I felt as I sat down in the theater to see the biggest blockbuster movie of all time. This moment is when I truly realized the sheer genius of what Marvel Studios has accomplished in the last 10 years. 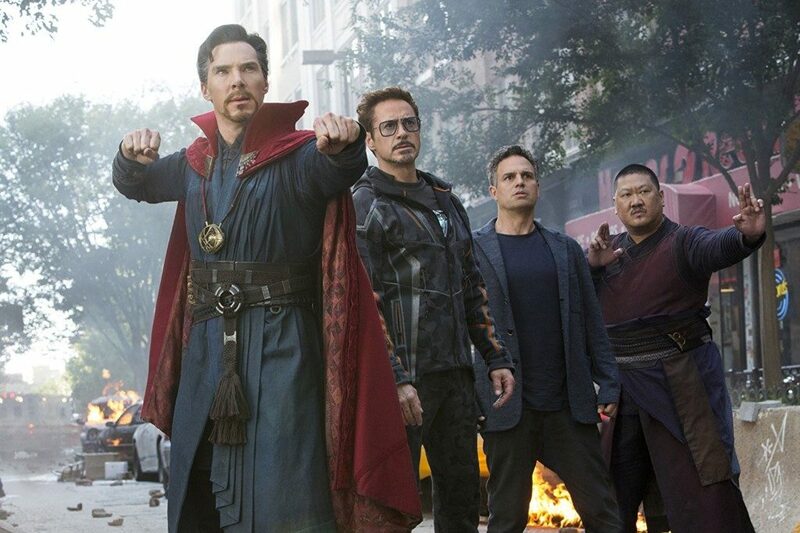 Across 18 different films, I had developed a great emotional investment in the characters that starred in Infinity War, and by all indications, not all of them were going to survive the events of this massive crossover. However much I was excited to witness the culmination of plots threads which started way back in the first Iron Man film, I was just as scared to lose these well-developed heroes I had come to know so well. In this way, the set-up from previous Marvel movies allows Infinity War to get away with following a decidedly unique plot structure. The film manages to entirely skip over the requisite explanations and set-up and focus entirely on payoff while retaining an emotional core few other modern movies can provide. Surprisingly, much of this emotional core stems from Josh Brolin’s performance as the galactic villain Thanos. A vast notch above some of the cookie-cutter antagonists that plagued previous films, Thanos is a surprisingly complex figure with an air of tragedy surrounding him and his motivations. Since much of the film’s narrative follows Brolin’s character, the tone is notably darker than some of the other Marvel outings. Themes of death, loss and hopelessness permeate the plight of the protagonists as they fight against increasingly unfavorable odds. The action and choreography is visceral and brutal, and I visibly winced several times as characters struck blows against one another. That’s not to say the film is entirely without levity. The traditional Marvel humor still shines through and the novelty of seeing extremely disparate characters like Captain America and Groot interact never gets old. Action sequences with a jaw-dropping amount of characters and stunning visual effects keep the audience on the edge of their seat between the more emotional sequences. The standout protagonist of the film is Chris Hemsworth’s Thor, who gives an extremely entertaining performance, ranging from hilarious to heart wrenching, as his quest to kill Thanos becomes more and more personal. The score is also a decided step-up from previous movies. The orchestration in some parts really hammers home the idea that this film is a galaxy-spanning epic tragedy, yet it is also dynamic enough to know when to be reticent and to let a scene or performance stand on its own. Unfortunately, the score doesn’t retain these strengths consistently throughout, and some parts suffer from the relatively generic sound that others have criticized in previous movies. On the topic of generic, perhaps the greatest shortcoming of Avengers: Infinity War is that, in the grand scheme of things, it doesn’t have as much a unique identity as some of the films that have preceded it. This issue was to be expected, as the Russo brothers needed to strike a tone and format that could believably combine the tone and format of characters like Black Panther and the Guardians of the Galaxy. The film accomplishes this combination effortlessly, but I can’t help but wish Infinity War had more of an ability to create its own unique identity apart from those set up in previous movies. As the biggest blockbuster movie of all time with arguably some of the loftiest expectations ever set by moviegoers, it’s a marvel that Avengers: Infinity War holds up as well as it does under the pressure. The film certainly isn’t perfect, but it closely approaches the word like few other films before it. The year-long wait until the second part already feels longer than the months leading up to the original, and I await it eagerly.